Taking a journey through the honeybee colonies in California, Switzerland, China, and Australia, “More Than Honey” explores bee decimation. The same scenario is repeated around the world: 50%-90% of bees are disappearing from colony to colony. The bee epidemic has started a phenomenon known in the scientist community as, “Colony Collapse Disorder.” The dying species has had a negative global effect, and without the bee population, our humanity will slowly be affected. Director and writer, Markus Imhoof travels from the different regions to interview beekeepers’ work to preserve their colonies. With their knowledge and practice in the bee world, the beekeepers show the daily paradox working in both natures’ rhythm and against it. 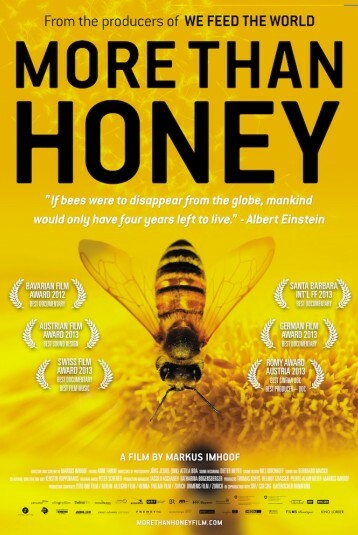 "Surprisingly up-close images of bees at rest and in flight give buzz to an inescapably downbeat topic"